How do I add a rental property address into my account? 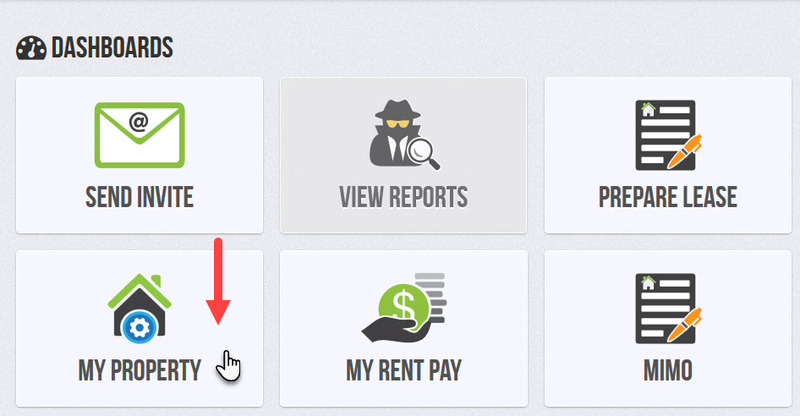 Adding individual rental property information into your account is easy. First, go to the home screen of your account and click, "My Property." 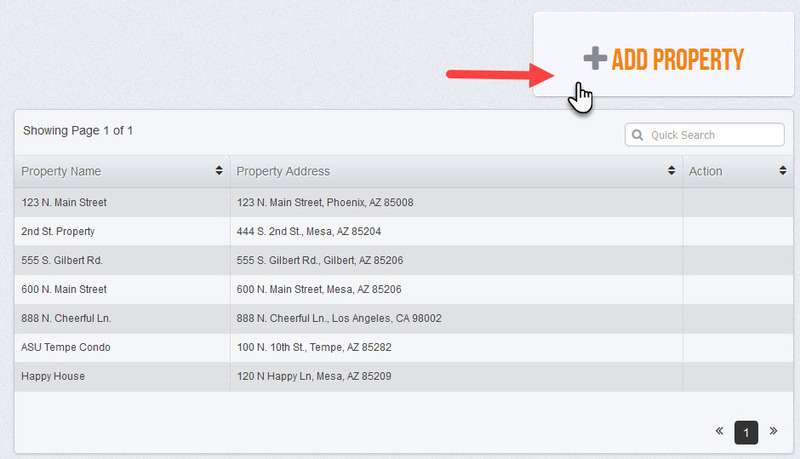 Next, click "Add Property," or click on a current property name to edit an existing property. Now enter the required property information settings and details. When you are finished click, "Save" at the bottom of the screen. 1. TELL US ABOUT THE PROPERTY. For "Property Name" you can put the street address or any nickname you have for the property. Next, enter the property address and contact information. 2. DO YOU REQUIRE RENTERS INSURANCE? In order to protect your investment we highly recommend requiring your tenants to purchase a liability renters insurance policy. By checking the "renters insurance required" box, your applicants will be notified in their tenant portal that you require renters insurance. They will be given a link where they can purchase a discount policy through their account with premiums starting under $5 per month, offered by a preferred partner of Rent Perfect. 3. DOES THIS PROPERTY HAVE UNIQUE RENTAL CRITERIA FOR APPROVAL? Use the account's general criteria settings or create unique criteria for indivual property addresses. It is wise to document the property criteria to help protect you against discrimination claims. This criteria will only affect the recommendation for each applicant. The landlord will make the final decision on all applications based on all background information reported. 4. TELL US ABOUT THE PROPERTY DETAILS. How many bedrooms and bathrooms are there? Use the "+" button to add the appropriate number of rooms in each area of the home. 5. DO YOU PLAN TO CREATE A LEASE FOR THIS PROPERTY? If so we need you to provide some additional property information. You can always provide this information at a later time if you prefer. Continue reading below for additional information regarding leases. ADDITIONAL INFORMATION REQUIRED FOR ONLINE LEASE AGREEMENT. 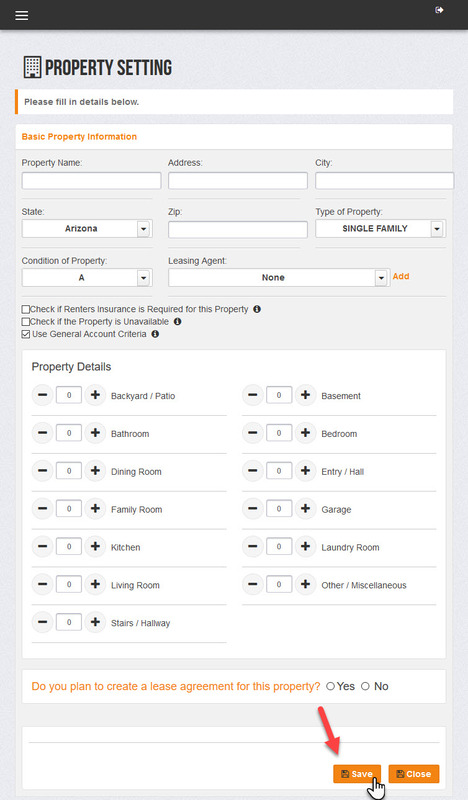 First, use the dropdown menu to select which lease template the property will use. You can use the provided standard lease template or create a custom lease template of your own. This property information will be saved and used for all leases created for this property address. Additional information such as lease dates, rent amount and deposit will be provided at the time a lease is prepared for an approved tenant.